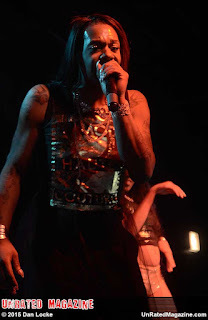 New Orleans starlet Big Freedia aka the Queen of Bounce brought her 2015 Bounce Shakedown Tour to Chicago’s Bottom Lounge on November 10th. The Queen Diva held nothing back and impressed fans as she performed her past and present hits. The Queen will be on tour through the holiday’s just announcing a performance in Austin, TX on New Year’s Eve. If you missed the Chicago stop, you can still catch her weekly on her reality show Freedia Queen of Bounce that airs on the Fuse network or pick up a copy of her book Big Freedia God Save the Queen Diva.